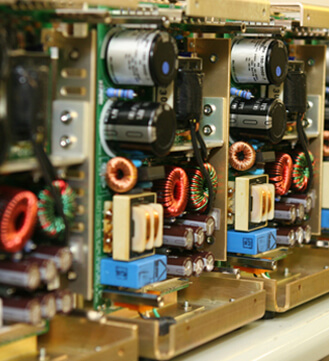 Since 2011, Pacific has been successfully providing electro-mechanical contract manufacturing and assembly services for mission critical components/ sub -assemblies meeting the stringent quality requirements of its defence and industrial customers. These components /sub - assemblies have been successfully integrated with existing legacy systems thereby boosting the indigenization drive of the Armed Forces. Pacific has repeatedly proved to be a reliable source for import substitution through its innovative indigenous and largely in-house efforts. The entire process of manufacture commencing with design up to final assembly and testing are undertaken strictly as per laid down process sheets/ work instructions and adhering to stage wise quality checks ensuring snag free operations and complete traceability. Pacific has over a period of time professionally developed and nurtured a very wide network of reputed vendors thereby building a very robust supply chain. All the manufacturing inputs, in terms of material and spares/ sub components etc., are sourced from these international and national tier one manufacturers possessing doubtless quality credentials. This ensures that all of Pacific’s products are made up of the best raw material meeting the best industry standards. In addition, engineering design and build services for prototyping and custom build applications are also a part of its portfolio. Towards this Pacific’s engineering staff works together with its customers to achieve in each delivered product all the specified design parameters.